← Where’s the snow? Mid-Late January Outlook. As I stated in my last outlook, the lack of blocking was going to be a limiting force on snowfall during much of the month, unless we got a storm that coincided with on of the sporadic cold snaps. 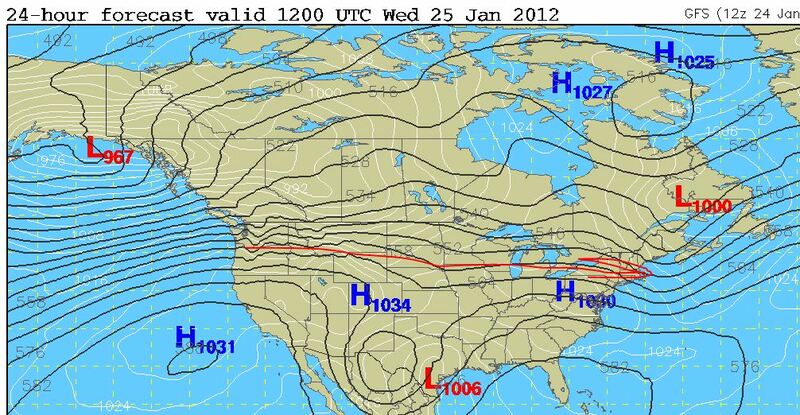 That is exactly what we got on Saturday, a +NAO storm. Its origination was a classic Alberta Clipper, with modest moisture but plenty of cold air to work with. This combination gave much of southern Connecticut its first significant snow of the 2011/12 winter season. Unsurprisingly the cold air was quick to depart in the earlier part of this week. West to east zonal flow, no real major opportunities for cold air to really settle in during the short term. Things may get a little more interesting later on as a low associated with that cutoff low currently digging into the southwest may try to come up the coast in the latter half of the upcoming weekend. The question of the day right now is phasing. The GFS is notoriously bad with handling cutoff lows so it is a difficult call. If we get a look at the ensemble however for Sunday Morning, it looks like a trough will be in the area during that time period. There is some significant uncertainty still about it’s magnitude and phasing, which will be critical for the possibility of good surface low formation and placement. 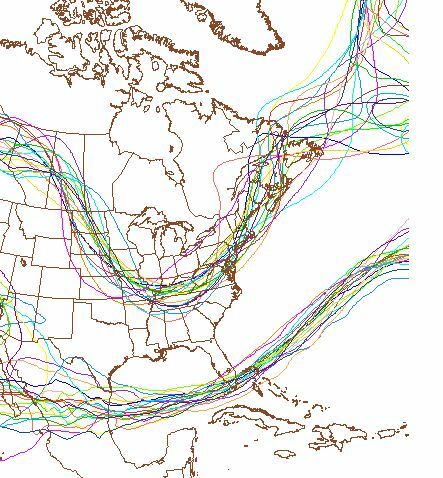 I can say that the possibility is there for a southern New England snow event. I’ll have more information on this system as things become a bit more clear. Preceding that storm is a thursday-friday rain event, although I can’t rule out frozen precip over the far interior.